The Mediterranean cultures know how to celebrate. A good meal and a good wine seem reason enough to call together the people that matter most. And that's how the Levendi legacy began—around the family table with laughter and a wish to produce something special and unique. We think that spirit is reflected throughout the vineyards, winery and within each bottle—a testament to our family and founders. David Gianulias believes in the value of fine craftsmanship. That's why Levendi's smaller production lends to such large results. From start to finish, extreme care is taken each step of the way, with no detail left to chance. Though raised with winemaking in his blood, David originally followed a different path than his father, James, and embarked on a career in the entertainment industry after graduating from UC Santa Barbara. Using the entrepreneurial skills he gained from forming his own artist promotion and management firm, David became principal of the family's real estate company, founded in 1949. David oversees major property developments that include many award-winning communities across Southern California. He returned to his roots in wine and joined his father to launch Levendi, where he, with Todd Rustman, oversees the day-to-day operations of the winery. Keeping alive the family traditions is important to founder James Gianulias. And the best way to accomplish this is by building a legacy through Levendi. A member of the world-renown Napa Valley's vintner's community for more than 30 years, James' career in wine is a result of his vast appreciation for fine varietals and his Greek roots in making wine for family. The entrepreneurial UC Berkeley graduate originally began his business career in property development and, over the past four decades, has created thousands of new homes and planned communities throughout California, Texas, Oregon and New York.  After setting his sights on developing a family-owned winery in Napa Valley, Jim joined forces with his son, David, and family friend, Todd Rustman, to establish Levendi. Todd Rustman cares about his customers—as much as he cares about his wine! So building special customer relationships begin with making sure that each bottle enjoyed shows a consistency that can be depended on time and time again. A life-long family friend, Todd teamed with James and David Gianulias to found Levendi. In addition to his career as co-founder of GR Capital Asset Management, a Newport Beach-based financial management firm, Todd assists in overseeing the organization's business operations as well as manages its long-term financial health. A graduate of Pepperdine University, Todd has traveled across the globe to hone his skills in the financial world and credits his many successes to his work ethic and passion for making every moment count.